Bigger than previous Jetta with more rear passenger room. 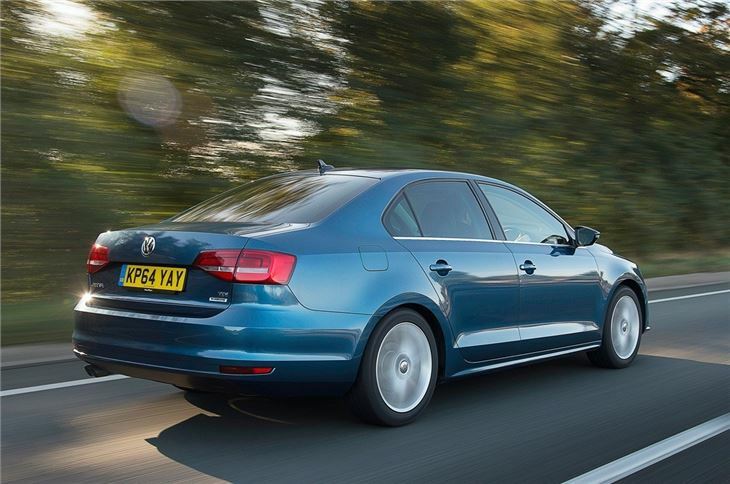 BlueMotion models deliver good economy. Easy to drive and comfortable. Golf will always hold its value better. Smaller boot than previous Jetta. Soft springing doesn't provide thrilling handling. Report of failure of 7-speed dry clutch DQ200 DSG in Jetta mk 6 1.4TSI at 120,000 miles. 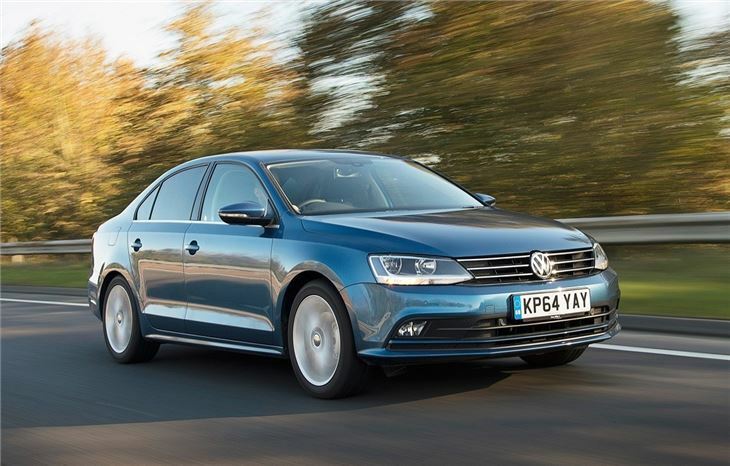 The Volkswagen Jetta has gone through a few name changes in Europe, from the original 1979 Jetta to the Vento, the Bora and back to the Jetta again. One thing has remained unchanged and that's the fact it's the saloon version of the Golf. It's a popular model in the US, but as with many booted versions of family hatchbacks (such as the Mazda3 saloon and the Ford Focus saloon) it's never proved a big seller in the UK where we prefer the practicality and style of a hatchback. So it's surprising that Volkswagen continues to offer the model here. However, with this, essentially the sixth generation of the Jetta, the manufacturer is trying to give the model its own stronger identity so that it sits between the Golf and Passat. 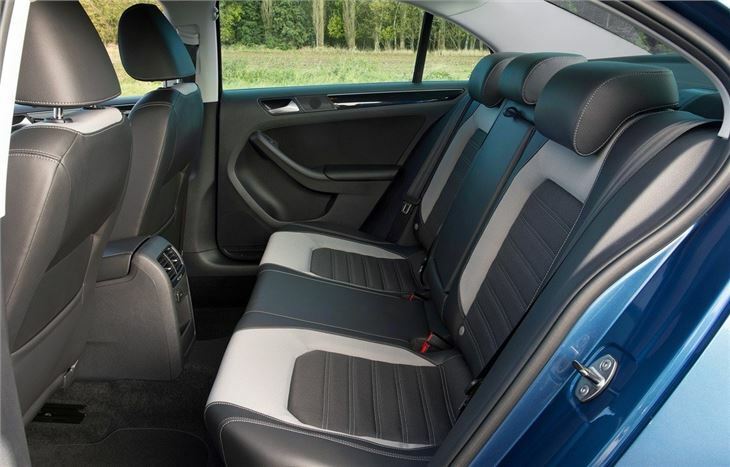 For starters it doesn't share any panels with the Golf and is noticeably bigger than the previous Jetta with a longer wheelbase. 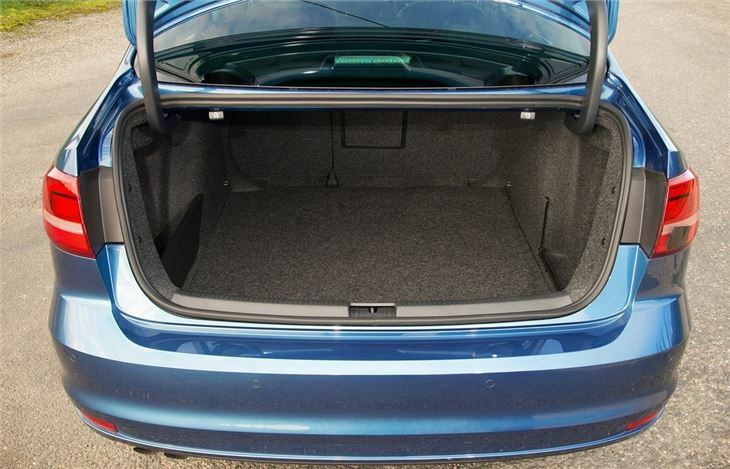 Surprisingly the boot is slightly smaller than before, but the trade off is more rear legroom for those in the back. 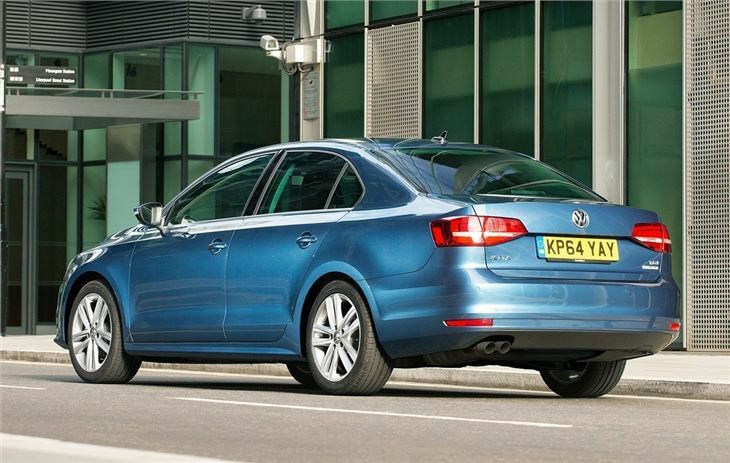 The styling follows the latest Volkswagen family look with a simple and unfussy look although at first glance it's very easy to mistake it for a Passat from the front. It's a similar story inside where there's the familiar Volkswagen interior with a good quality and longlasting feel. It's far from striking in its design but more importantly is very user-friendly and intuitive. This is reflected once you're on the move. 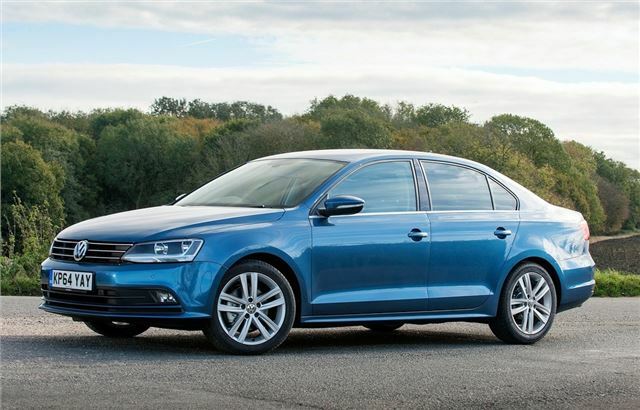 The Jetta is undemanding to drive with nicely weighted steering and decent front end grip in corners, while it's quiet at higher speeds too with little wind or road noise. The ride quality is good too, although it can get caught out by particularly uneven roads. Overall it's very competent, if not particularly memorable. 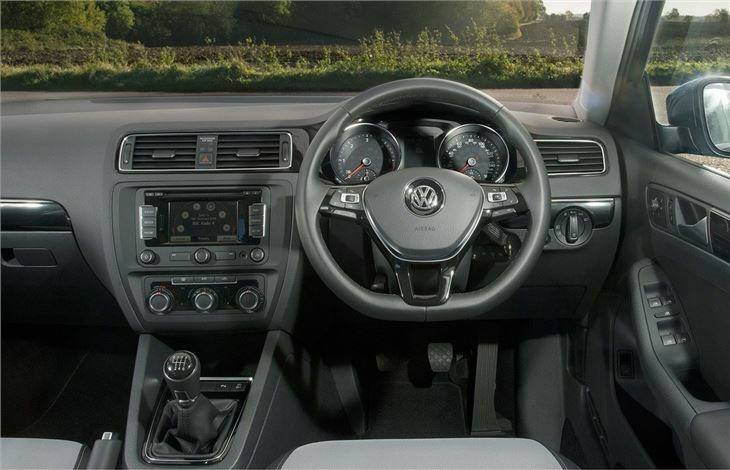 The engine line up includes the excellent 1.4 TSI with either 122PS or 160PS while the diesels are the 1.6 TDI with Bluemotion Technology and the 2.0 TDI developing 140PS. Better than expected i dont like the name Jetta but i love the car.